Romantic Suspense is a tricky genre to write, because the love story has to develop pretty quickly, and it has to arise organically from the suspense plot, which is no easy feat. To make it plausible, often the writer throws together two people who are genetically disposed to meet danger head-on; we see the ex-Navy Seal battling the bad guys as he joins up with the Emergency Room nurse, and faster than you can yell, “Cover me!” the sparks are flying, along with the bullets. I love a good “action” set-up as much as anyone, but I’ll admit that my favorite set-up is the ordinary heroine, who is swept up in extraordinary events. In The Bengal Bridegift, Juno is minding her own business, teaching at a convent school near Calcutta, when suddenly all the various factions from the Napoleonic war are in hot pursuit, thinking she alone knows where a fabulous cache of diamonds lies hidden. In truth, Juno would rather go to bed and pull the covers over her head, but a former Barbary pirate insists that she can’t stay where she is, or she will almost certainly be murdered. A fearful heroine immediately garners our sympathy—she didn’t sign up for this, poor thing—and we are as bewildered as she is, by this unlooked-for turn of events. And there is that wonderful fish-out-of-water element that comes along with a fearful heroine; she knows watercolors, not weaponry, so she’s not very useful in an ambush, or in trying to fight off yet another abduction attempt. But the fearful heroine gives us a custom-made character arc; she’s fallen in love, so somehow, she has to muster up a modicum of courage from somewhere, because he’s in danger, and life without him cannot be contemplated. So you can have your Lara Croft, but I prefer my Sarah Connor—the bumbling waitress from The Terminator franchise, who discovers, much to her dismay, that she has to save the world. We may admire the tomb raider, but we can identify with the unlikely heroine—we didn’t sign up for this, either. 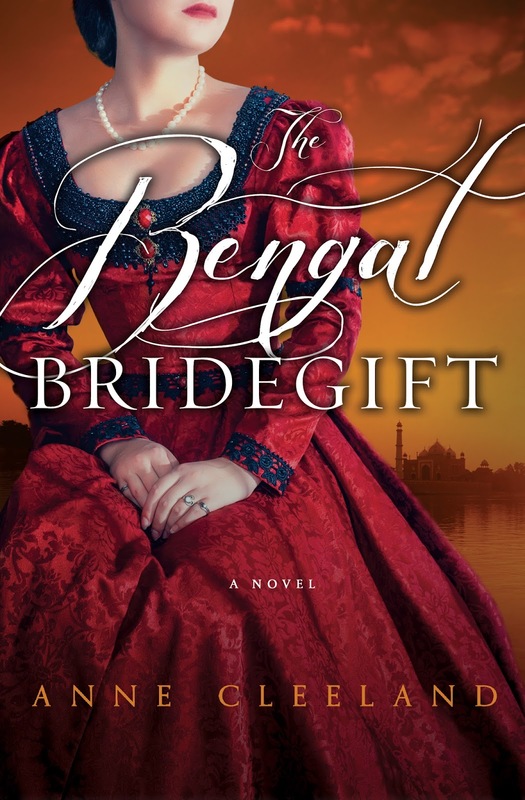 Timid and shy, Juno Payne has lived an uneventful life growing up in Calcutta--her father's home port during those rare times when he wasn't at sea, trading for the East India Company. But news of her father's death--and the cloud of scandal surrounding it--has suddenly made Juno the center of attention, as various factions attempt to seize her supposed bridegift--a fabulous cache of diamonds. In vain, Juno protests that she knows nothing about a bridegift, and that her father had no such fortune, but England's enemies are not convinced, and Juno is forced to escape with an unlikely ally--a Barbary pirate. Can she believe his extraordinary tale about her father, or is he only another one who is looking to steal her bridegift? Find out, as Juno plumbs depths of courage she never knew she had, and the fate of the world hangs in the balance. Anne Cleeland holds a degree in English from UCLA as well as a degree in law from Pepperdine University, and is a member of the California State Bar. She writes a contemporary Scotland Yard series that features detectives Acton and Doyle, and she also writes a historical series set in the Regency period. A member of International Thriller Writers, The Historical Novel Society, and Mystery Writers of America, she lives in California and has four children. www.annecleeland.com; @annecleeland. Thanks so much for having me, Maureen! You are the best!